As the regulations which govern the use of land become ever more complex, the law office of Buzzell, Blanda and Visconti, LLP provides representation and navigates Land Use and Zoning laws on behalf of applicants in Towns and Villages across both Nassau and Suffolk Counties. To each application, the Firm's attorneys bring knowledge and years of experience gathered in both the private and public sectors. The Firm practices across both Nassau and Suffolk Counties. 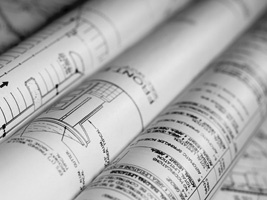 The Firm's Attorneys have handled all types of land use applications, including those seeking a change of zone, site plan review, subdivision, architectural review, special permits and variance relief. Our attorneys appear regularly before town and village boards, planning boards, zoning boards of appeals and other municipal agencies. The Firm's clients include Fortune 500 companies, well known regional businesses, national and local retailers, real estate developers, builders and individual property owners. The Firm's attorneys have handled matters involving retail stores, shopping centers, restaurants, fast-food restaurants, telecommunication facilities, health clubs, automotive dealerships, single-family housing, condominiums, apartments, senior housing, office space, industrial buildings, storage facilities and mixed-use development. The Firm also regularly handles matters involving County and State Agencies, including the Nassau and Suffolk County Planning Commissions, Suffolk County Department of Health Services, NY State DEC and NY State DOT. The Law Office of Buzzell, Blanda and Visconti, LLP also represents municipal clients and counsels village boards, planning boards and zoning boards of appeals, as well as provides guidance and assistance in drafting land use and other municipal legislation.